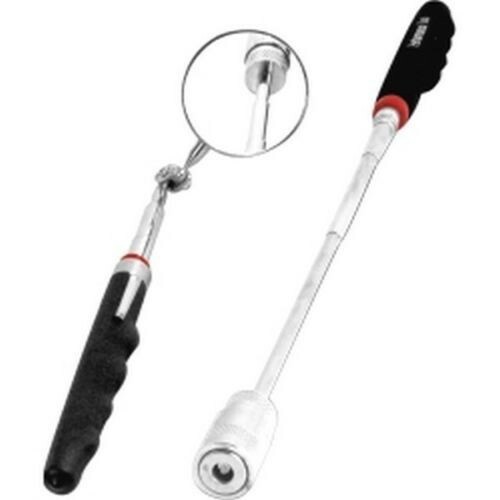 LIGHTED INSPECTION TOOL SET This set includes a super bright LED retriever that extends over 27 1/2", as well as having a cushion grip handle. There are 3 AG13 button cell batteries included. The inspection mirror is 2" round, and this extends from 6 1/2" to 19". This also has a cushion grip handle and convenient pocket clip.